BREEAM is recognised and acknowledged as the market leader with regards to influencing efficiency, sustainability and user satisfaction during the design and construction process. 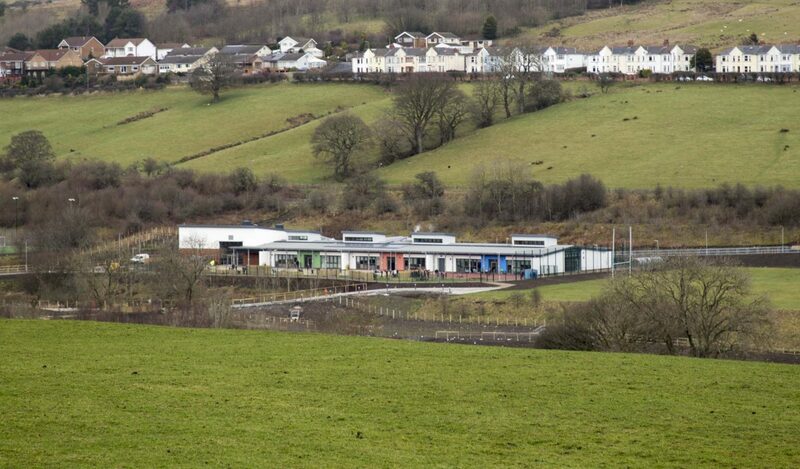 During the early design stages, Caerphilly County Borough Council set the BREEAM target of “Excellent” and have reaped the benefits as a result. During the BREEAM Assessors site inspection visit it was evident that all building staff were highly satisfied with the finished article. The overall consensus from the building users confirmed the design layout of the school and the levels of natural daylighting provided to all classrooms and occupied spaces provides a healthy and positive working environment for staff and students. In addition, the building staff were clearly impressed with the external eco-classroom amphitheatre which has been factored into the teaching schedule due to student satisfaction. Low Zero Carbon (LZC) feasibility study completed by an energy specialist at the Concept Design stage to establish the most appropriate recognised local LZC energy source for the development. As a result of the LZC feasibility study, grid-connected photovoltaic panels installed.